So many people in recent years have been moving from all over the country to the thriving economy in Texas. 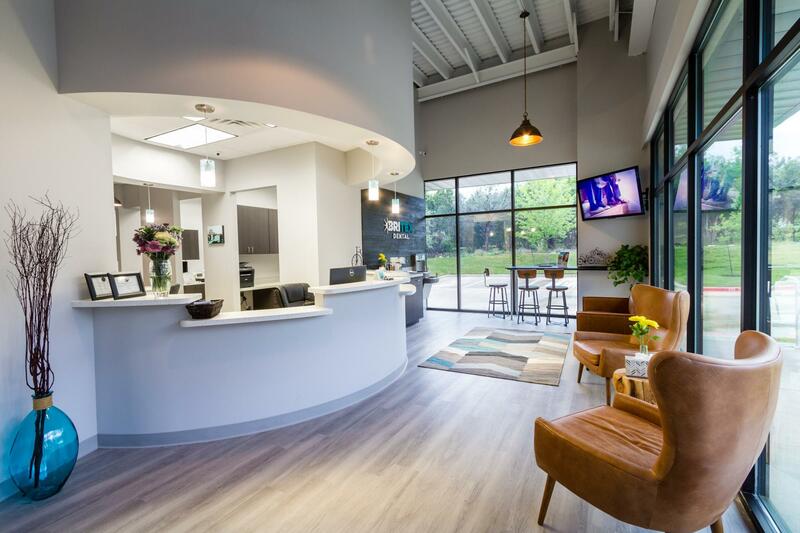 This situation was no different for a group of three dentists moving from the Northeastern United States to the relaxed and chill vibes of Austin, Texas. We met with them as they were looking for a place to open their business to discuss their practice name, branding, and website requirements. In order to come up with a logo, we first had to come up with a name for the practice. We came up with a short list of strong candidates and recommended that they choose Britex. 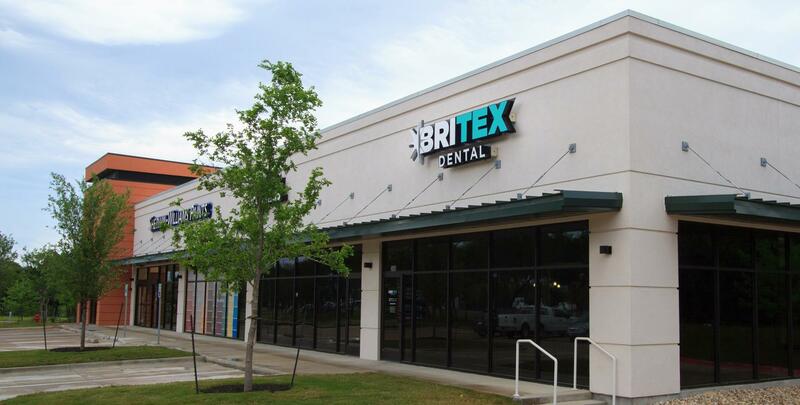 They were enthusiastic about the name and Britex Dental was born. Once we finalized the name we came up with a logo, look, and color scheme that the owners of Britex could fully embrace. We really wanted to play up on the idea of "bright" within the logo. We played around with different variations of glints and sparks and finally settled on the current representation. 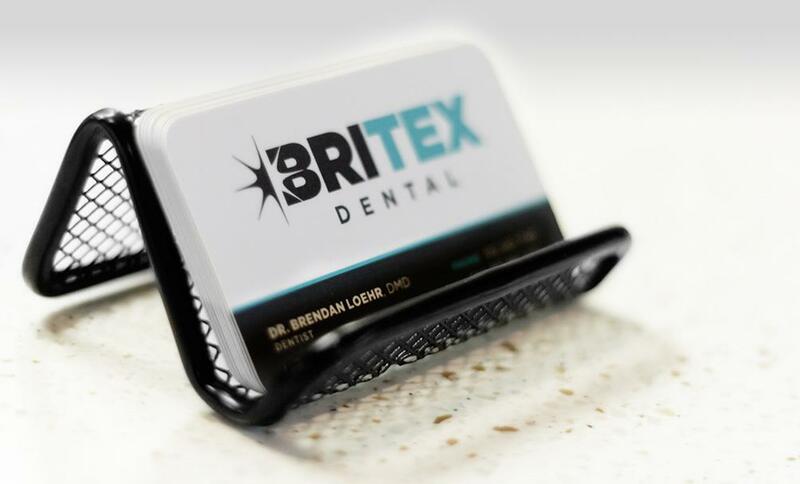 We also chose to have two separate colors on each syllable of the name to help emphasize the fact that it should be pronounced Bri - Tex, rather than Brite X. In our logo mockup we put it on the dark wood background which then became a centerpiece of their office interior design. 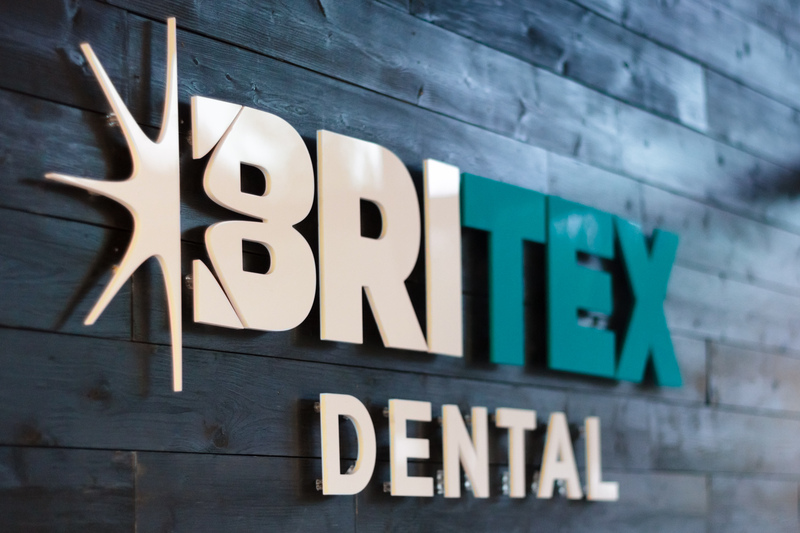 As previously stated, the dark wood texture became an integral part of the Britex Brand. In addition to including it in the stationery and the interior design of the dental office, we also used it as the background for the header and footer of the website. 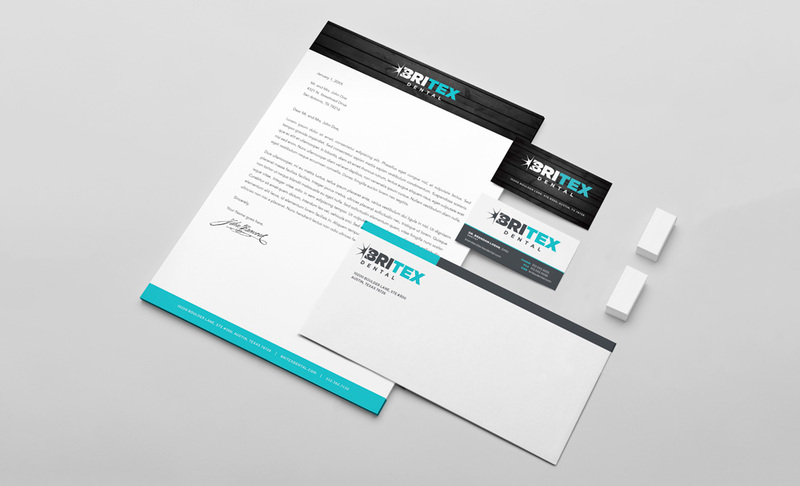 Integrating it here also helped to tie together every aspect of their branding as a single cohesive unit. One of the main aspects that can dramatically improve the look and feel of a website is professional photography and Videography. 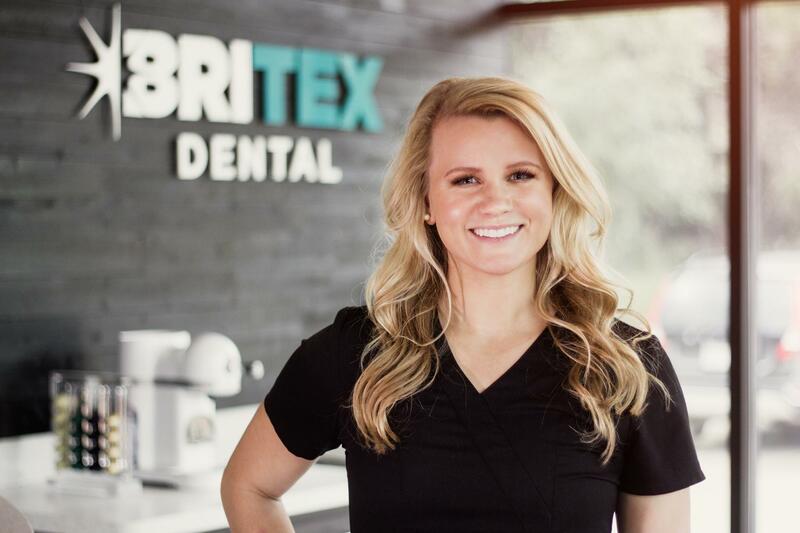 Britex contracted us to create a video background for their website homepage that would showcase not only the practice, but the city of Austin as well. They also used us to do all of the photos of the staff and for the gallery of the office.